These days we’re looking pretty much everywhere for sources of energy to slake our insatiable thirst. If energy is involved in a process, and if there is excess energy left over, it’s fair game. But there’s a fundamental question that hearkens back to the chicken and the egg. It takes circuitry to harvest energy. But what powers that circuitry? Ideally, the energy required for the harvesting circuit is simply a “tax” on the harvested energy, with the balance being delivered to a battery or some other energy sink. But what happens at startup? It would be really nice not to have to do that. But how can you harvest the first bit of energy, at a time when no energy to power the harvesting circuit has been harvested yet? Said a slightly less convoluted way, can the harvesting circuit bootstrap itself? This is a question that Ethem Aktakka et al of the University of Michigan set out to answer with an inertial piezoelectric harvester. The “piezoelectric,” of course, refers to the fact that mechanical energy used to stress a crystal is converted to electrical energy. The “inertial” refers to the fact that there’s a MEMS “proof mass” whose inertia provides the stress. There are a number of different sensors that use proof masses. Essentially, the proof mass is a (relatively) heavy mass of some material, connected so that you can detect acceleration due to its inertia. Any heavy material will do in theory, but, for this application, a piezoelectric ceramic was used. A piezoelectric material is electrically polarized due to the summing of many internal dipoles (which may or may not be aligned for a given material). If the crystal lattice is mechanically tweaked, this polarization is disturbed, resulting in a net change in the electric field between the faces of the material. For this project, they used a relatively new MEMS process whereby they soldered a bulk piezoelectric ceramic material onto silicon and then thinned it; they claim this is more flexible and gives better performance than the more traditional thin-film deposition approach. The process they used is inherently compatible with CMOS, but because the proof mass was so much larger than the die size needed for the power management circuitry, they used two separate dice, mounting the small circuit die, along with the battery and other components, on top of the piezoelectric harvester, with contacts formed between the harvester and circuit. Now that they had a piezoelectric proof mass, they had to harvest the energy from it. Setting aside startup (i.e., assuming it’s already running), they focused on trying to lose as little energy as possible – tricky given the low voltages and leaky sub-threshold regime. They created three fundamental circuits to do this. The first is for rectifying the signal, using an active diode in order to deliver as much of the voltage as possible to the battery. In several places, including the active diode, they used what they called “bulk-regulated PMOS” devices: these are essentially three PMOS devices in parallel, with the bulk of one being tied to the overall drain and the bulk of another tied to the overall source. The idea is to minimize leakage by ensuring that the n-well is connected to the highest potential available. The second circuit was a special shunt used when the current polarity in the harvester reverses itself. The harvester has a parasitic capacitor that has to discharge, which is a loss of energy. So the shunt actively drains that charge through the circuit to reduce that loss. Finally, the third circuit is a trickle charger that uses the rectified signal to charge a battery and then to keep the battery topped up. In the first phase, assuming there is no battery or stored energy anywhere, the vibration of the harvester creates a current that passively charges the capacitor. This goes on until a certain voltage is hit, at which point the circuit starts to turn on – the second phase. This, of course, causes the voltage to sag, since it’s now driving the circuit, but the active diode and shunt circuit are on, so the capacitor can be charged more efficiently. At some point, with the entire power management circuit active, a higher voltage level is hit, initiating the third phase, in which a current pulse transfers some of the capacitor charge to the battery, discharging the capacitor back down. The battery is isolated again to prevent backflow; the capacitor recharges; and then another current surge is sent to the battery. This charge-the-cap/charge-the-battery sequence repeats until the battery is full. Once the battery is full, the fourth stage is reached. The battery is again isolated to avoid overcharging, and the capacitor scans between two yet-higher voltages to determine whether the battery needs further charging. So the abbreviated version is that the harvester charges the cap until there’s enough voltage to charge the cap more efficiently. When it can, it charges the battery until the battery’s full, after which it settles into trickle-charge mode. Needless to say there’s an entire system of bias voltages used for the comparators and various other bits of logic necessary to manage this whole process. But it all takes place using nothing but the harvested energy. Another important question is, once up and running, how efficient is the harvester? By itself, without any of the power management circuitry, the raw harvester can generate 24.1 µW with 0.5 G vibration and 63.9 µW with 1 G of vibration. You’re not going to get all of that into the battery, of course, because of losses and the simple fact that the management circuit needs to be fed. They found that, with the power management circuit attached, they could charge a 20-mF ultra-capacitor up to 1.31 V in 20 minutes at 0.5 G and in 8 minutes at 1 G of vibration. This is equivalent to 14.3 µW and 35.8 µW at 0.5 and 1 G, respectively. That’s roughly 55% – 60% efficient. They do show a prior work example that can get a much higher 75% efficiency, but it requires a 2.5-V charged battery at startup, so that one is not completely self-sufficient. 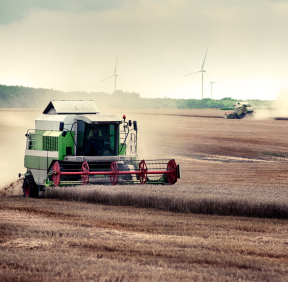 By contrast, this project did succeed in providing a harvester that could start from nothing and bootstrap itself into operation using only the harvested power. Which can sure beat having to go change (or charge) a startup battery deep in the arctic or the desert somewhere.